How often do you change your clothes? Well maybe twice in a day. However, your apple watch hardly gets a band change; so why not consider switching up your Apple Watch band too? 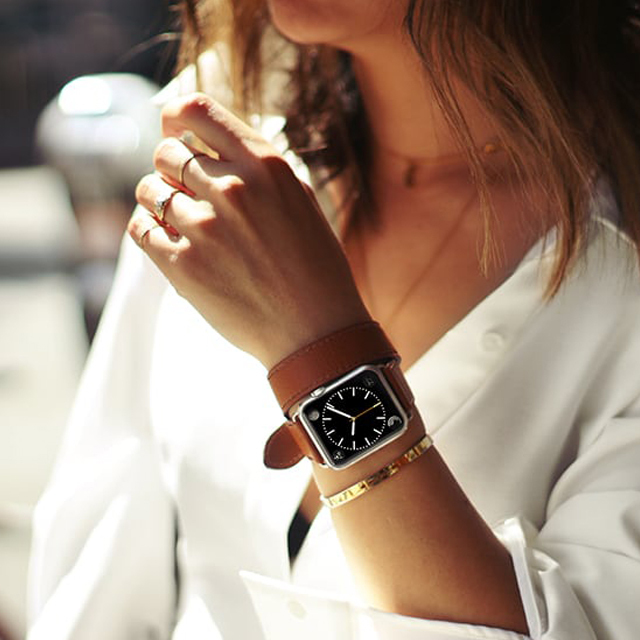 In its own way an Apple smart Watch is stylish, but just like you have a daily clothes change, it's good to from time to time change your apple watch leather band. 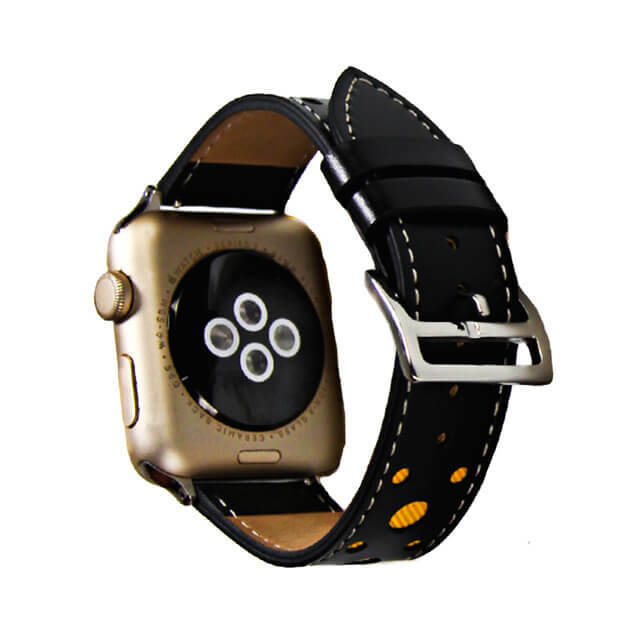 If you want a custom-made leather apple watch band at a friendly price that will hardly offset your budget then consider approaching a genuine third-party seller. 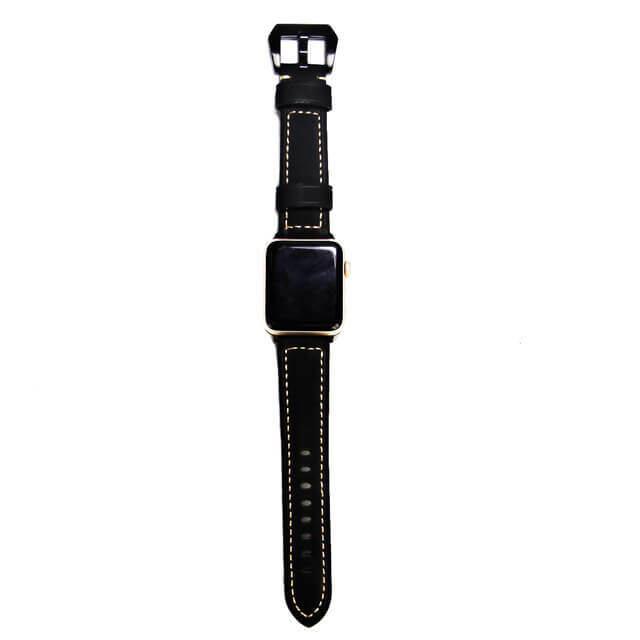 While Apple offers a variety of genuine leather watch bands, dubious third-party apple watch band merchants also offer leather bands but at incredibly low prices. This, however, does not mean that only Apple sells genuine leather bands. With thousands of merchants out there knowing who is offering genuine leather and who is not is hard. 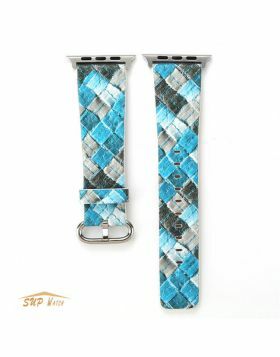 If you are looking for a perfect watch band then look no more; you are finally at the right place. 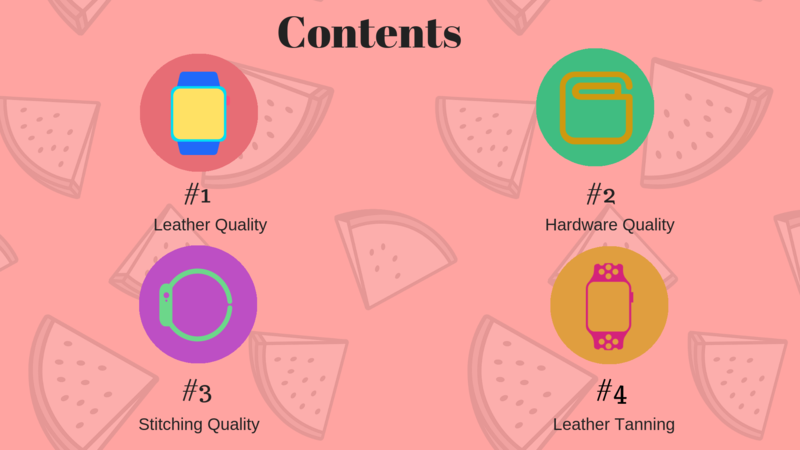 In this buyers guide you will have at hand all the information you need about leather watch bands. To know if the leather you are dealing with is original or imitations always pay attention to the fine prints. If you are a seasoned leather shopper then you must have come across a "PU" letter in the product description. If you find this serial letters in your leather watch band then you should automatically know that you are dealing with imitated or synthetic leather. If you are a novice leather handler you may find some types extremely convincing. However, you can often quickly spot the fake. The price difference isn't even that big between a PU leather band and a premium one, so settling for anything less than the best makes no economic sense. Maybe you may fail to realize that the hardware on a watch band is as important as the watch itself. Obviously, you don't want to settle for something that will rust, tarnish or corrode. To avoid this make sure to choose a watch band with 304 stainless steel label. 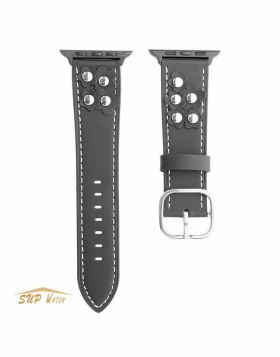 A watch band with a stainless steel buckle is impervious to corrosion unlike the one with a sterling silver buckle. If you are looking for a band that will give you longer service consider one with quality tight leather stitching. A perfect watch strap should take in normal wear and wear. This is an important factor that you must consider before you settle for a specific watch band. Quality leather stitching guarantees band durability and versatility. If you don't notice the stitch-work in your leather band, be assured that it will not hold on for long enough. To ensure that you can comfortably wear your apple watch without your skin getting irritated by the leather strap is important. Consider a vegetable tanned leather band to chrome tanned. Vegetable tanned leather enables your skin to easily breathe as the pores are quite visible. The unevenly exposed pore in the naturally tanned leather perfectly conforms to the uneven pores in your skin ensuring free air flow. Uneven dying also adds some incredible characters in the leather. Because of the fact that Vegetable tanned leather can easily conform, I make an ideal material for customization and intricate designs you would desire in a watch strap. However if you would prefer an apple watch with a more versatile strap, chrome tan leather would be the perfect material for your leather strap. Without product details, you may find it to know if the leather is genuine or synthetic. Well don't be worried about this; here is how you can easily establish if the leather is genuine without referring to product description details. 1. Genuine leather has an imperfect surface littered with surface grain and pores. With the knowledge that you can only get genuine leather from the animal skin, you should anticipate a unique random surface as it is determined by the specific animal it originated from. Similar grains and very regular surfaces is an indication of synthetic skin. 2. Look for scratches, wrinkles or creases. 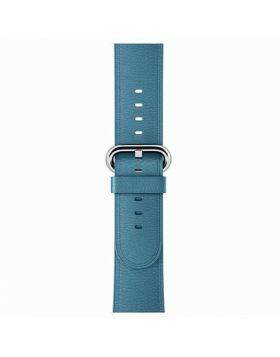 If you realize that your apple watch leather band lacks any of the above characteristics then be sure it's an imitation. When pressed real leather will become wrinkly while its synthetic counterpart will depress down under the pressure of your fingers. 3. Even after being dyed and processed animal skin retains a natural unique musty Smell while a machine made of leather has a plastic-like smell the leather. 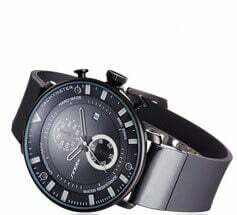 If however, you are unsure of the smell a store that you are sure sells genuine leather would be a perfect place to establish the originality of the leather in your watch band. Request both products and compare he smells. So guys if you are looking for a perfect leather strap for your Apple smart watch I would recommend you to go one made from natural leather. Though a bit expensive natural leather lasts longer and poses zero environmental threat. I hope this blog post answered your question…however you can hit the comment box and add make the list longer. I am sure someone out there will appreciate your ideas just like you have acknowledged mine.